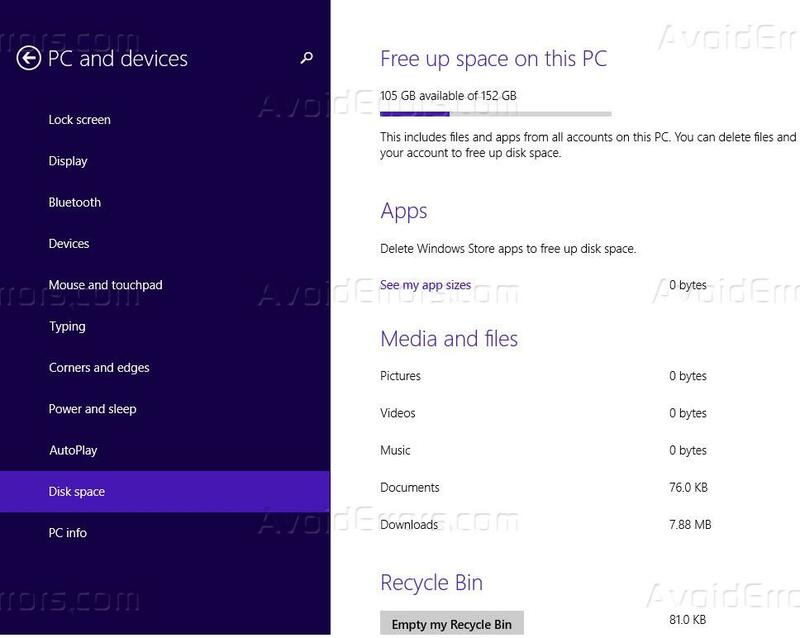 Recycle Bin accommodate the files you delete and lets you recycle deleted items. When someone deletes any file and or folder it is moved into the recycle bin. 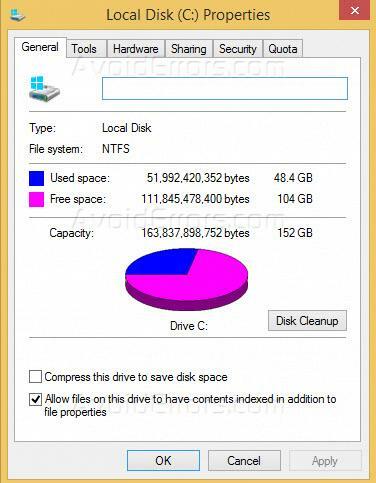 By default, it will take up to 5% of free disk space on the drive. To delete an item, you right-click on it and select Delete. This will delete the file or folder and move them to the Recycle Bin. If you press the Shift key while deleting the file or press Shift+Del key, then the item will not be moved into the Recycle Bin. It will be deleted permanently. 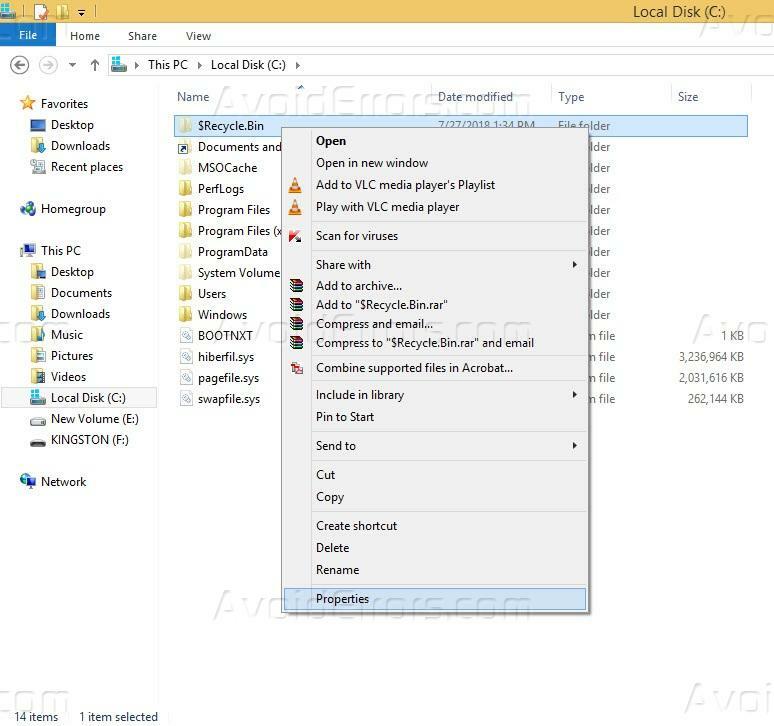 None of the previous versions of Windows, that includes Windows 7, Windows 8.1 and Windows 10 show the total size of all of the files moved into the Recycle Bin while you select all the files placed in the Recycle Bin. 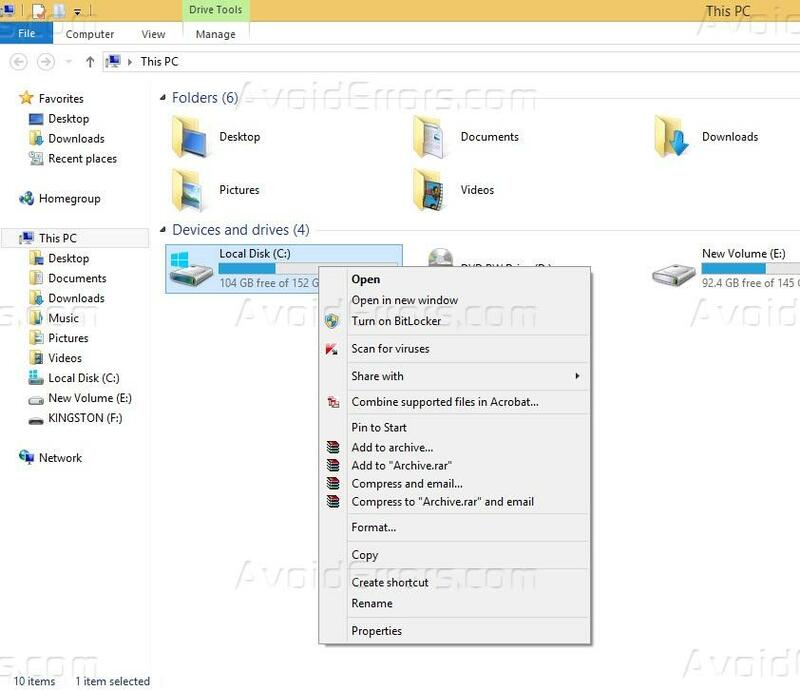 You can only get the total number of files that you have selected in Recycle Bin. 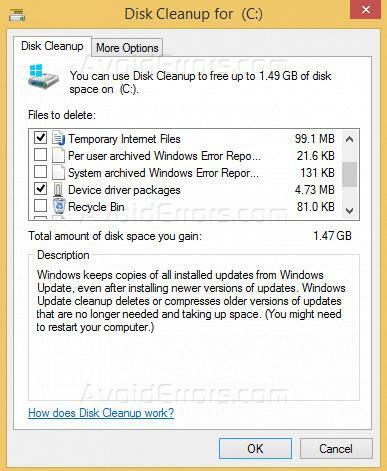 Click on disk cleanup button. Check the size of Recycle bin. Open File Explorer and click on View tab on the file menu. At the far right end, you will see an Options button. Click the drop-down button under it, and select the ‘Change folder and search options’ option. 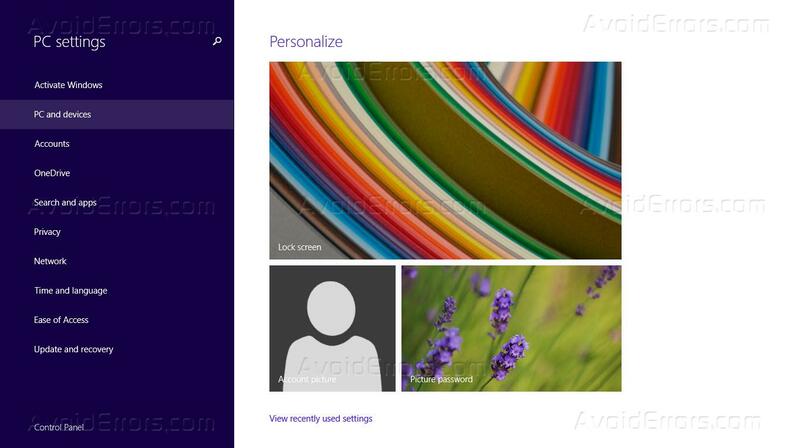 On the Folder Options go to the View tab. In view tab select the “Show hidden files, folders, and drives” option. 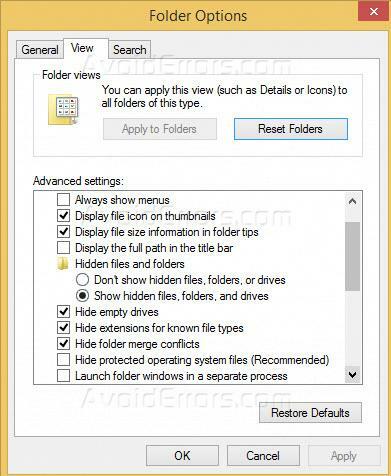 After that uncheck the ‘Hide protected operating system files (Recommended)’ option, and click Apply button. 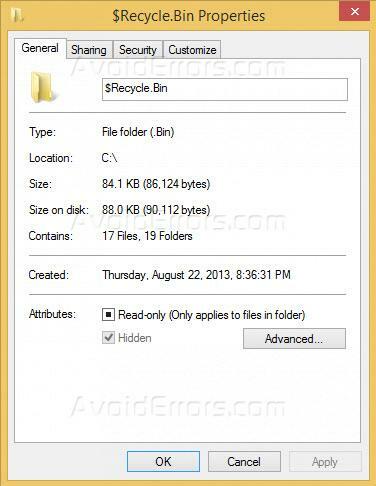 Open your system drive (the drive on which Windows is installed), and look for a folder called $Recycle.Bin. Right-click it and select Properties from the menu. The Recycle Bin Properties window will show you its current size i.e. the size of all the deleted files in it. Press Windows + I this opens the Settings menu of the charms bar on the right edge of the screen. You can open the same by moving the mouse cursor to the top or bottom right corner of the screen and clicking Settings. Select “Change PC settings”. The left side menu of PC settings, click PC and devices. In the left menu, under PC and devices options, click the option Disk space to view the total size of all of the files in the Recycle Bin. On the right side, you will see under titled Recycle Bin.